Fish Platter. Buy One, Get Two Free. Frame by Frame. Gee! That was fly-in’ service! And it’s a good bargain. Buy one, get two free! …I just hope my new neighbor knows to keep quiet. Previous PostMusing Monday: The House of LifeNext PostRomance in the Osprey Family. And Plans for a Nursery. Thanks Hien! I’m so happy you liked them. Beautiful! And the captions are just right. Thanks Susan! 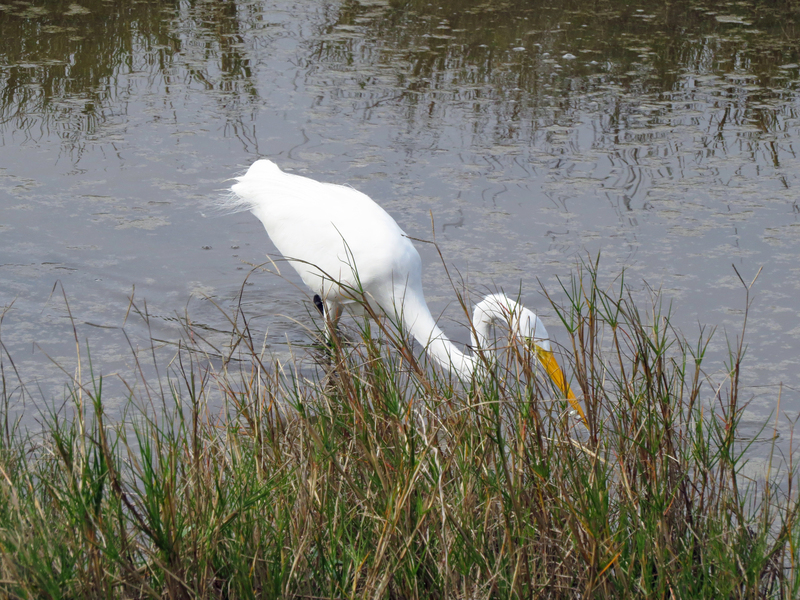 This all happened last week on my lunch walk in the salt marsh. You take such excellent shots! 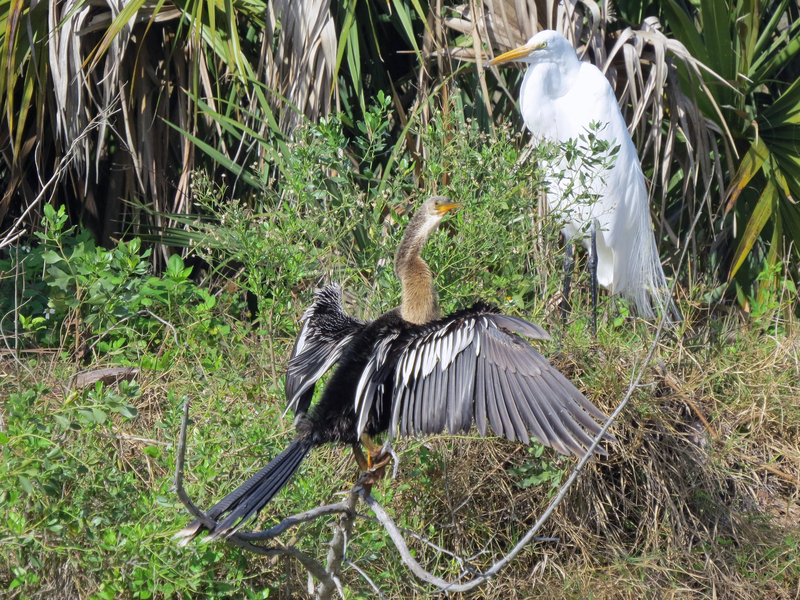 Loved the one where three fish dangle from the (?Osprey’s?) beak. 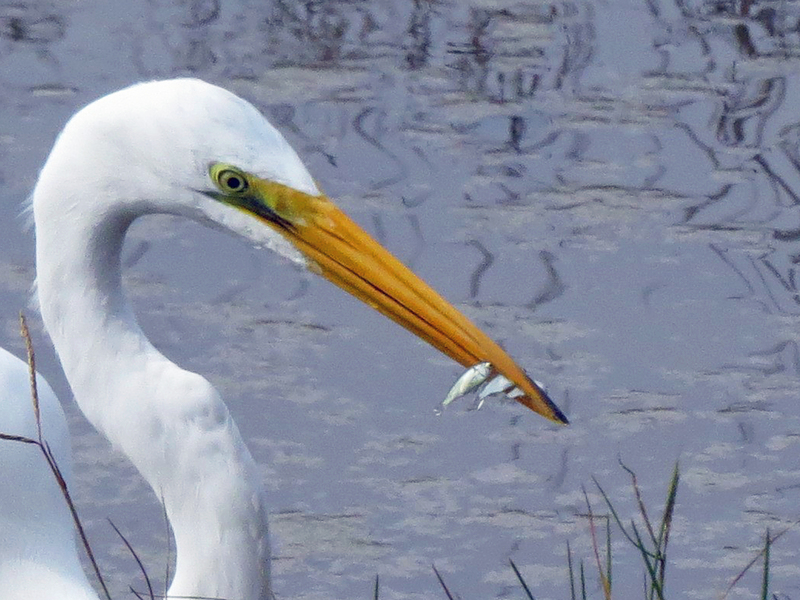 That was a Great Egret. 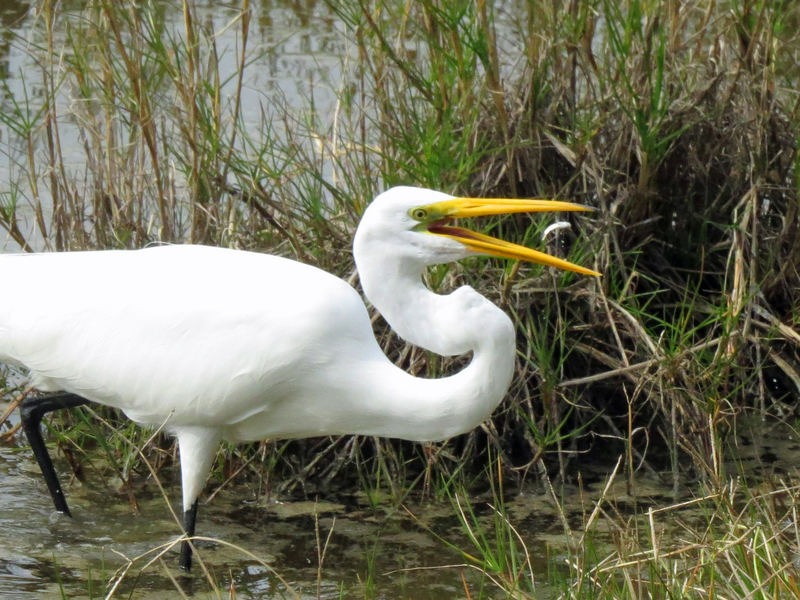 He was really entertaining that day… with fish flying into his mouth and then just picking three in one go. Amazing series! Especially the 3rd one and the one with three fish, wow!!! Thanks Amy! 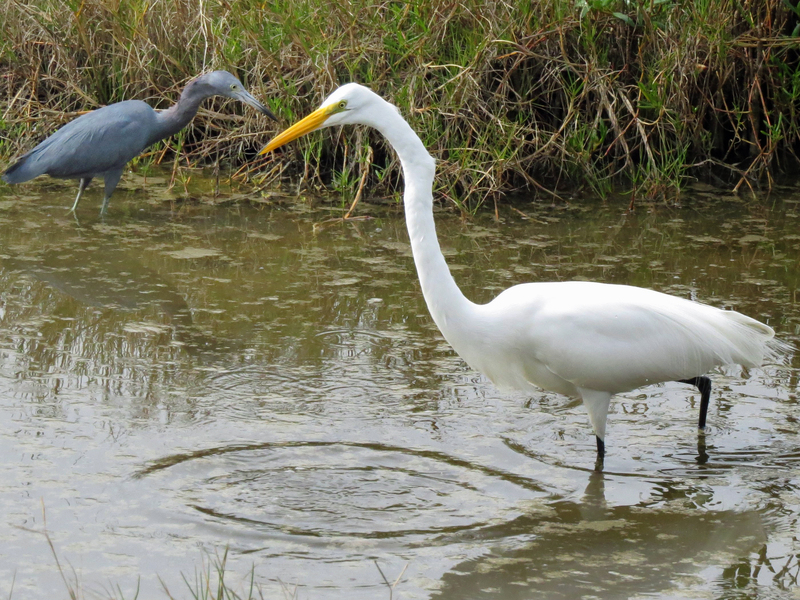 It was the same egret doing both ‘tricks” that day. He was quite amazing to watch! So much fun to watch the actions! Thank you for sharing, Tiny! You do the best captions, Helen . . . and stellar shots! Thanks Nancy. 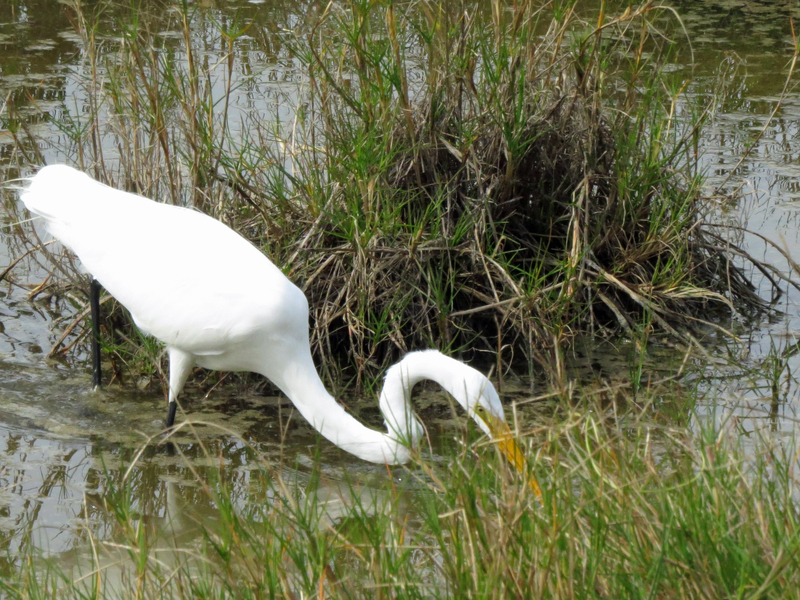 That Great Egret was quite a “package”, very entertaining. 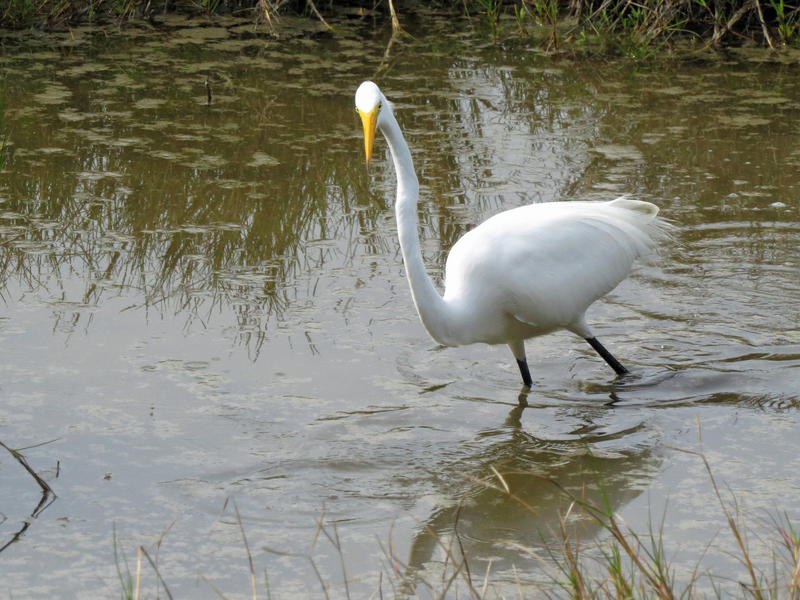 Happy you enjoyed the Great Egret’s tricks, Julie. Happy you liked it. 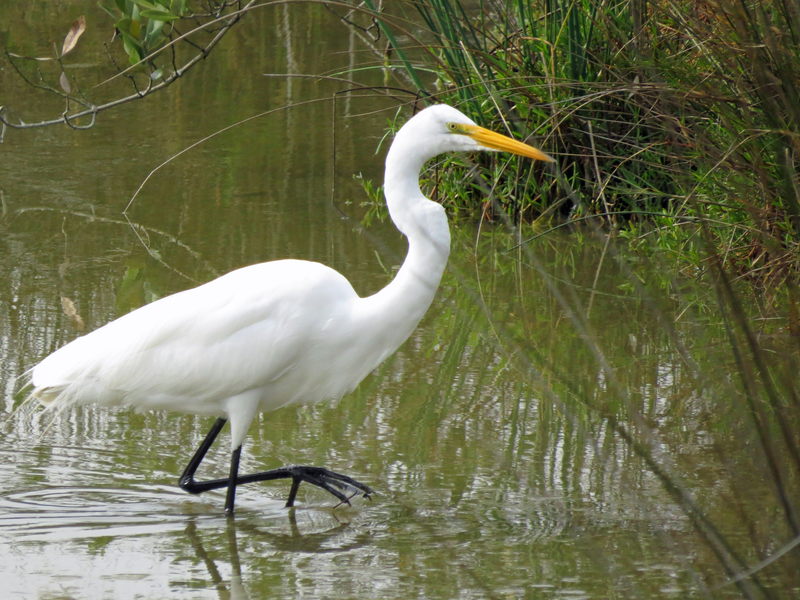 Nature is so rich with good examples for us humans. 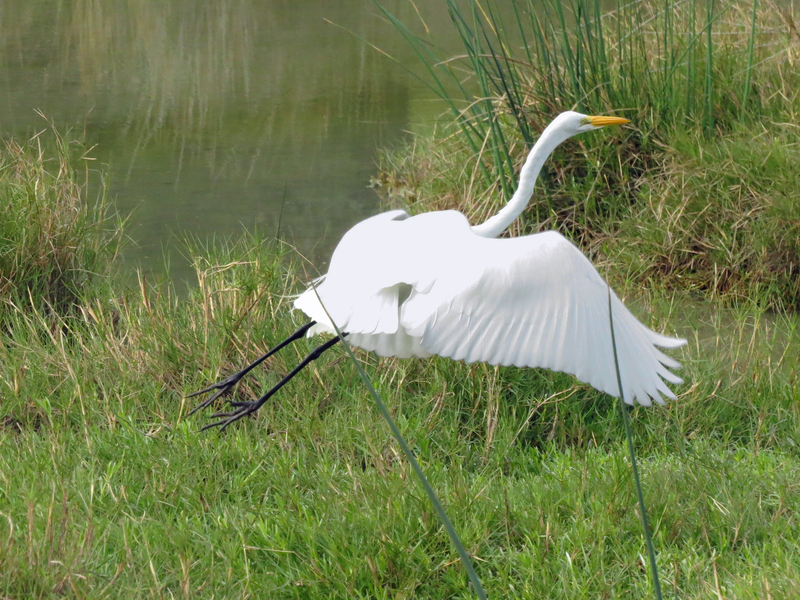 Great catch… by both you and the egret! Beautiful series ~ the highlight for me being that 3rd shot, such a great capture! Happy you liked his lunch adventure!